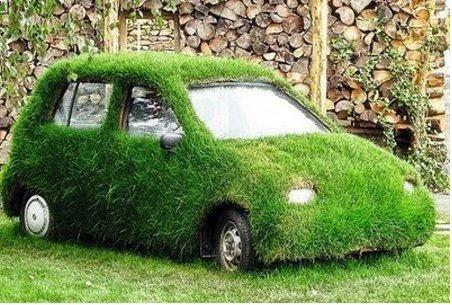 Green Manolo » Can Greener, Smaller Cars Make a Dent In the U.S. Auto Market? Can Greener, Smaller Cars Make a Dent In the U.S. Auto Market? Right now, from my window, I can see SUVs, van/wagon hybrids, full-size vans, and I kid you not, a Hummer. There are a lot of smaller cars, too, but I wouldn’t exactly call them small cars. At least not by the rest of the world’s standards. I remember being surprised when I lived in Germany and then in Costa Rica at how little the cars were. Even families with three kids were driving diesel hatchbacks – squeezing everyone in using wee carseats like the Coccoro. It seems like in a lot of places, if you’re not contractor or hauling something, your car probably has just enough room to transport you, yours, and some travel gear. Not nearly enough space to haul a dog sledding team and a secondhand piano. But do we ever love our big cars here in the U.S.! Even though most of the time, a smaller car with a smaller engine means a more fuel-efficient car, which means a car that uses less gasoline and emits fewer emissions. As it turns out, people shopping for cars talk a green game – there’s a growing interest in greener cars and smaller cars among buyers – but when it comes time to sign on the dotted line, shoppers in the U.S. are still more likely to go large. And that’s made it really hard for greener cars – including smaller cars – to gain a foothold in the market. A clear example is shown in the seesawing fortunes of the Smart fortwo, which sold 24,000 in 2008 ($4.50 a gallon) and just 14,000 in 2009 ($2.50 a gallon). “People had their hands in their pockets in 2009,” said Jill Lajdziak, president of Smart USA, who undoubtedly had her hands full supplying dealers with the right number of cars. In 2010, the top-selling vehicle in the U.S. was the Ford F-150 pickup truck. And in 2010, sales of gas-electric hybrids declined quite a bit. But in just a few months, GM is all set to get the ball rolling on the Chevy Sonic – the smallest car currently mass-produced in the United States. And people do seem pretty excited about the Nissan Leaf, the first mass-produced electric car for sale from a major manufacturer. It’s almost as if, as a nation, we have no idea what we want. Ideally, the U.S. would like a a ginormous electric pick-up that can haul sixteen racehorses up a mountain face and is made in China for a dollar. This entry was posted on Wednesday, February 2nd, 2011 at 5:33 am by Christa and is filed under Green Living, Pollution, Technology. You can follow any responses to this entry through the RSS 2.0 feed. Both comments and pings are currently closed. I think we should all buy cars that reflect our lifestyles and practical needs. If you NEED a pickup because you are a farmer, construction worker, small-freight deliveryperson, etc, then buy a pickup. If you have 7 kids or are carpool mom of the year, buy a 9 passenger SUV. If you are a single career person, ride a motorcycle! @KESW Absolutely! Pick-ups and vans and so on have their place. I have six younger siblings – my family literally had a church outing van growing up (and then a wee car for one-person grocery trips), ack. But my husband and I, with one kid, can be a one-car family because he can commute via train or car pool. Some people can’t. It’s all situational!